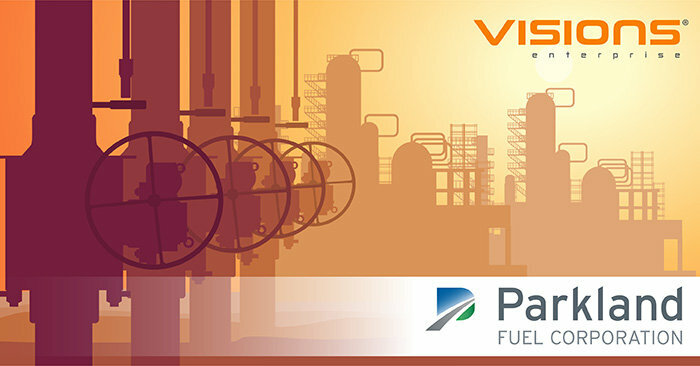 Parkland Fuel Corporation, one of North America’s fastest growing fuel retailers, has selected the Visions software as the Asset Integrity Management (AIM) system for their refinery in Burnaby, BC. Parkland Fuel recently acquired the Burnaby refinery from Chevron, who had been using Meridium as their AIM software on site. They recognized that the existing software was insufficient for their needs. They required an AIM software that offered a user-friendly interface, a rich variety of features, more affordable cost, easily retrievable data, robust custom regulatory reporting, and capability to interface with other products through API connectors to support their work flow. They vetted multiple products, ultimately determining that Visions best matched their needs. Having worked with Metegrity in the past and consistently satisfied with the Visions product, Parkland recognized it as the optimum choice and began the process to switch. Metegrity performed an implementation study on the refinery in early March 2018, and by May of that same year the conversion had already begun. Visions V5 went live at the beginning of October 2018. It now supports over 9,700 assets for Parkland Fuel in Burnaby. Metegrity is a globally trusted provider of comprehensive quality & asset integrity management software solutions. Praised for unparalleled speed of deployment, our products are also highly configurable – allowing our experts to strategically tailor them to your business practices. With more than 20 years in the industry, we proudly service top tier global organizations in the Oil & Gas, Pipeline & Chemical industries. For more information, visit www.metegrity.com.